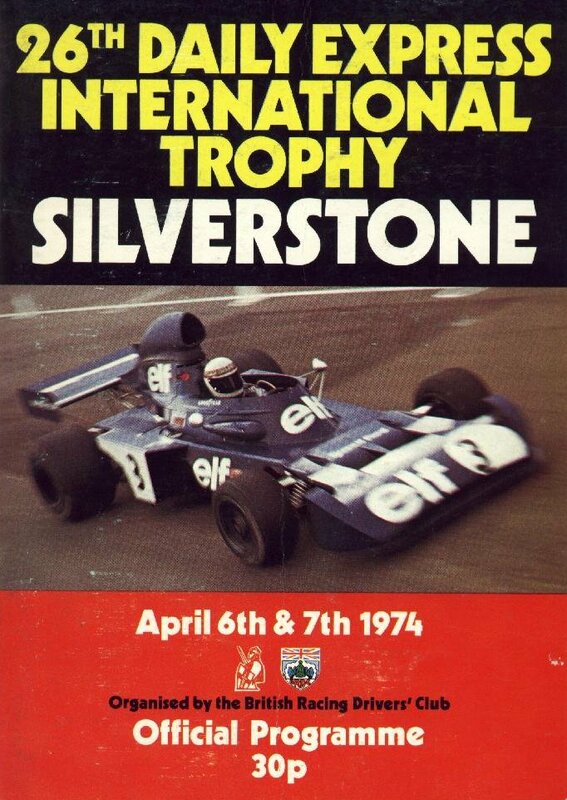 The 26th BRDC International Trophy was a non-championship Formula One race held at Silverstone on 7 April 1974. The 40-lap race was run in connection with a Formula 5000 event, and was won from pole position by James Hunt, driving a Hesketh-Ford, with Jochen Mass second in a Surtees-Ford and Jean-Pierre Jarier third in a Shadow-Ford. The Silverstone circuit in 1974. ^ "Motor Racing Programme Covers: 1974". The Programme Covers Project. Retrieved 28 October 2017. "Stats F1". Retrieved 28 January 2008. "Formula One World". Archived from the original on 2007-01-12. Retrieved 28 January 2008. "1974 Non-World Championship Grands Prix". Silhouet.com. Retrieved 28 October 2017.